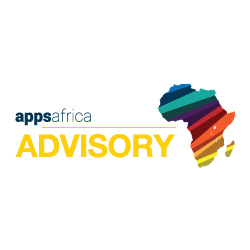 The Appsafrica.com Innovation Awards identifies and celebrates the leading African innovations, providing winners with global publicity across multiple channels, recognition from industry peers and investors. The awards are open to all individuals or entities who can clearly demonstrate suitability for the categories entered. The deadline for entries is September 7th, 2015. What if my venture is not based in Africa? The awards celebrate innovation regardless of location and we encourage global entries once the innovation has been launched in at least one African market. How many categories can be entered? Entrants can enter multiple categories once they are relevant to the specific category. The winners of the Appsafrica.com Innovation Awards will be announced in Cape Town, November, 2015. How can my company get involved in the awards as a sponsor? Award categories and other elements of the Awards event are available for sponsorship. Obviously, sponsoring companies will not be eligible to enter the category they are sponsoring. To find out more please contact us.